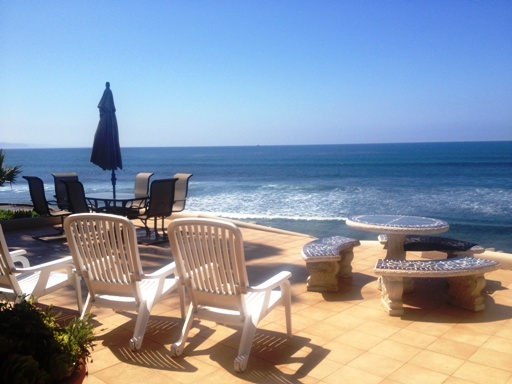 Ocean front 3 bedroom, 2,000 square foot single-story house. 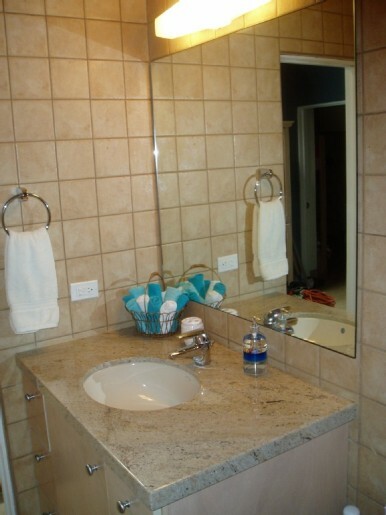 Fully remodeled with high-end details. 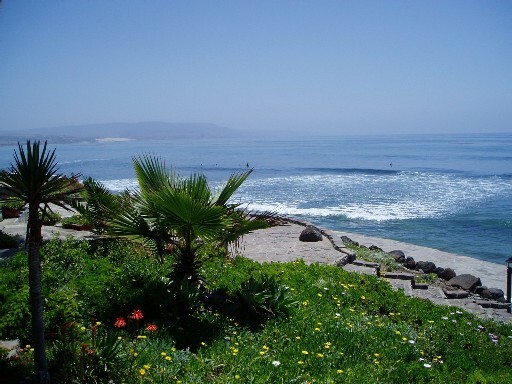 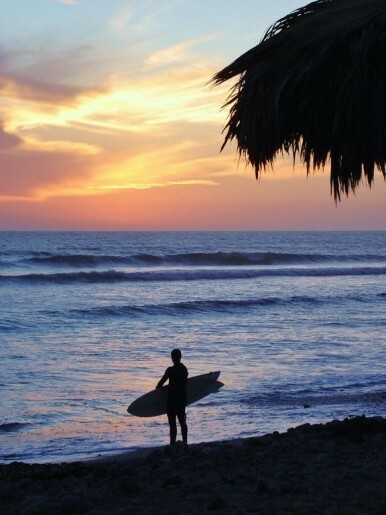 A surfer’s dream, located on the beach/surf-break side of Las Gaviotas. 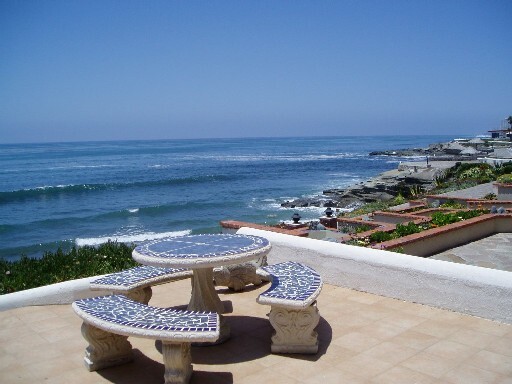 Spectacular unobstructed white-water view from your patio. 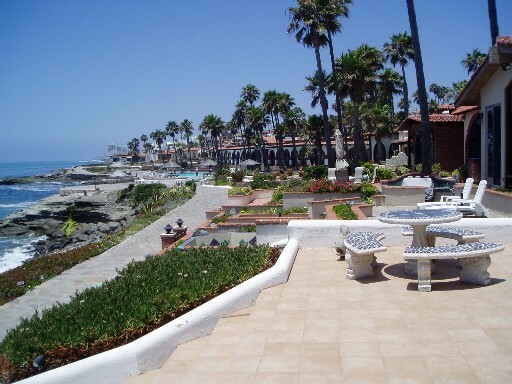 Just 6 homes from the Clubhouse & community pool. 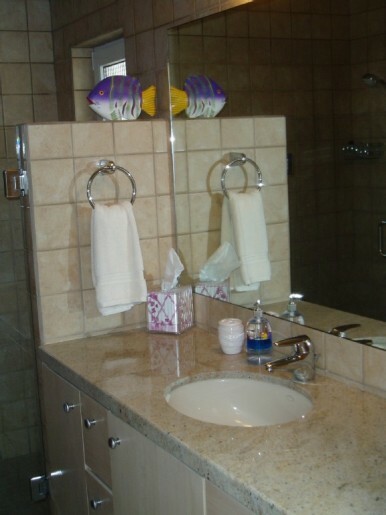 Upscale Chefs Kitchen with granite counter-tops and lots of storage. 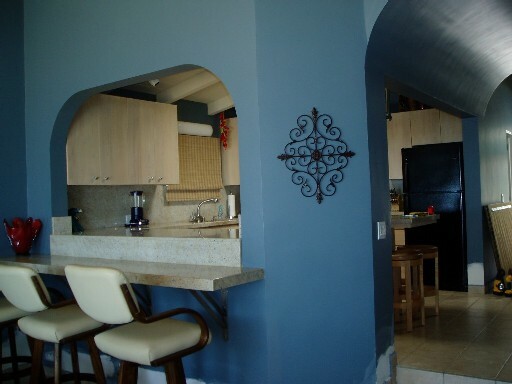 Alternate view of the kitchen, showing the eating bar. 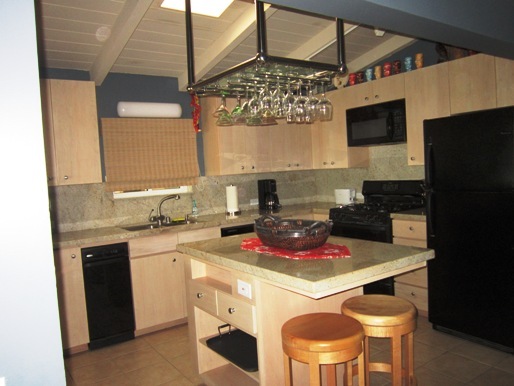 The kitchen has everything you’ll need, including a stove, refrigerator, microwave, coffee-maker, dishwasher, toaster, dishes & utensils. 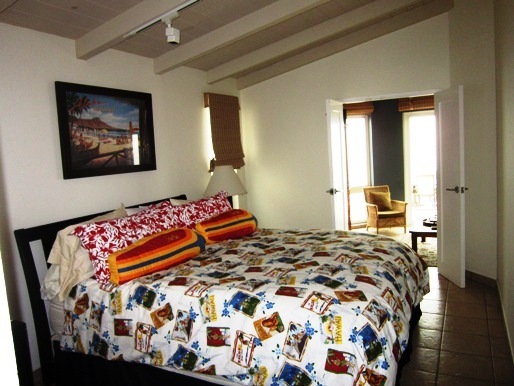 The master bedroom, (with King bed), overlooks the Pacific Ocean, and has its own private, upscale bathroom. 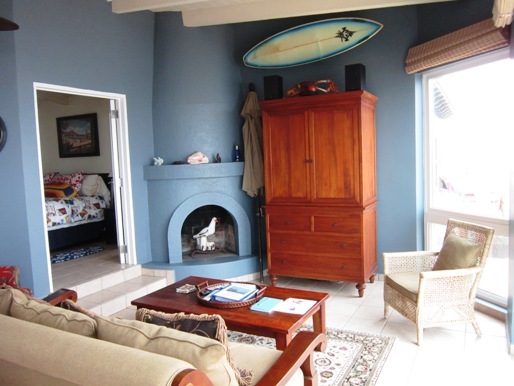 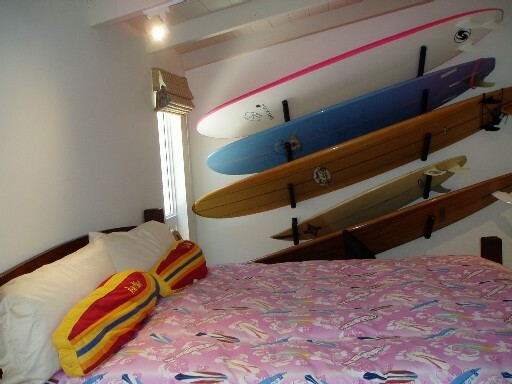 The second bedroom is decorated with various surfboards! 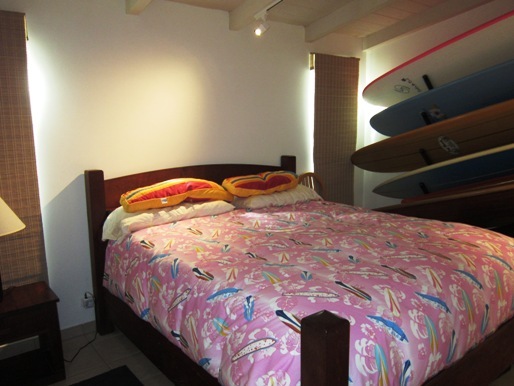 The third bedroom is great for individual sleeping or for children. 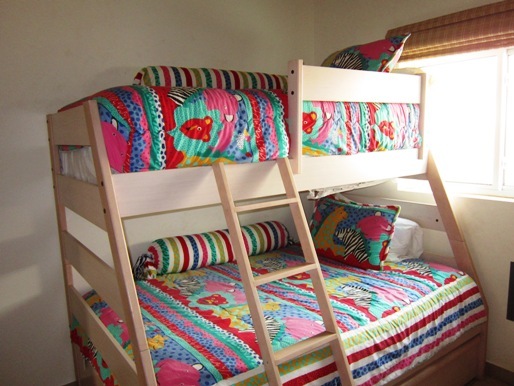 There are two bunk beds, (1 Double and 3 Twins). 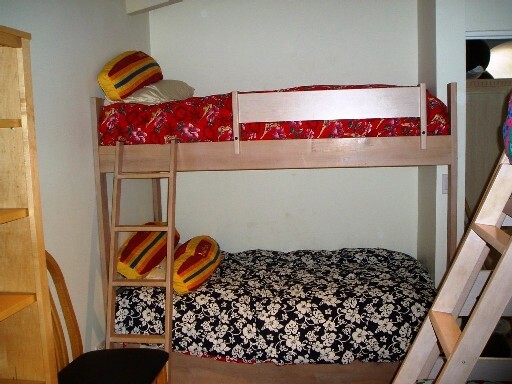 This bunk bed has a Full lower bed, and there’s a Twin bed above. 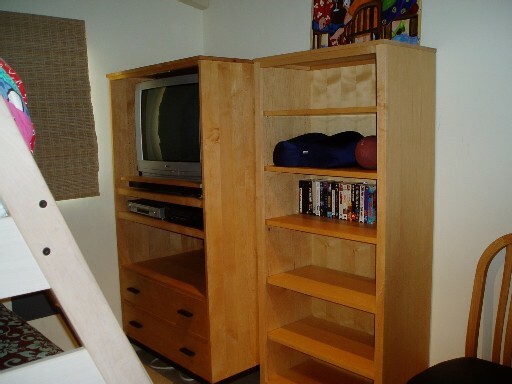 This bunk bed is a standard – with a Twin bed above and below. 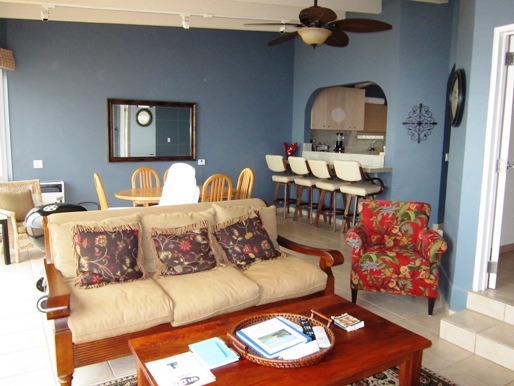 There’s Cable TV and a video library in the third bedroom. 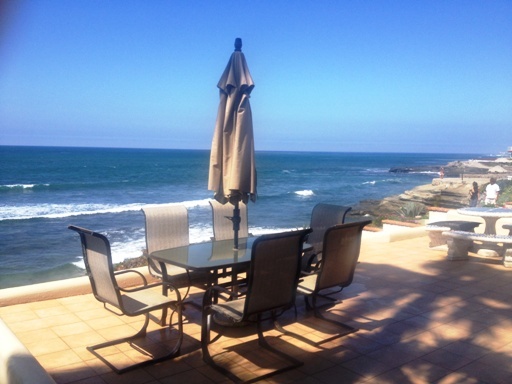 You’ll love dining on the large patio, which overlooks the main surf-break, and yes, we have a charcoal BBQ!